EARS on Mumbai speaker Sameera Iyengar is co-founder of Junoon, an organisation that focuses on creating access to theatre and the arts. She is also currently Course Director of SMART (Strategic Management in the Art of Theatre), a capacity building course designed specifically for theatre makers in India and offered under the aegis of the India Theatre Forum (ITF). As a core member of the ITF till 2014, Sameera was involved in diverse efforts to strengthen the theatre environment in India. 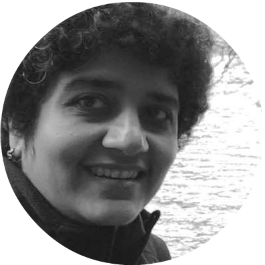 Previous to Junoon, as Director Projects at Prithvi Theatre, Sameera was involved with running the Prithvi Theatre Festivals and Summertime programme of shows and workshops for children. She has co-edited Our Stage: The Pleasures and Perils of Theatre Practice in India Today (Tulika 2009), and contributed some articles to Seagull Theatre Quarterly during her stint there. She holds a PhD in theatre from the South Asia department of University of Chicago, and an SB in Mathematics with a Minor in Theatre from the Massachusetts Institute of Technology.